Opencast has Solr included by default. This guide is only needed, if you want to run Solr on a separate server. The software versions in these instructions are not the only versions that will work, they are just the version tested when this document was written. Newer versions of both Tomcat and Solr are highly recommended. Opencast services use filesystem, relational database, and/or search indexes to store and retrieve information. In order to cluster services across multiple servers, we must provide shared storage solutions for each of these technologies. We do this with NFS or ZFS for filesystems, JDBC for relational databases, and solr for search indexes. If you plan on clustering either the workflow service or the search service, you must configure Opencast to use remote solr servers as described below, otherwise no further action is required. 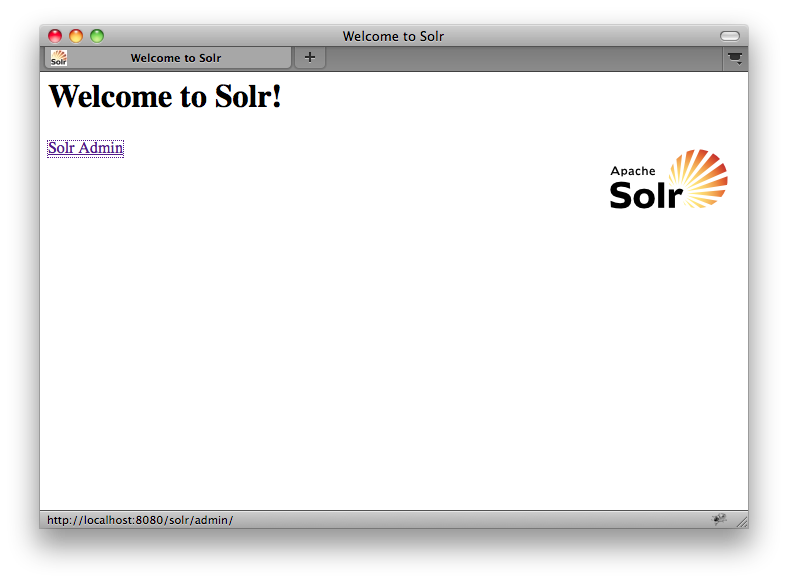 Solr runs in any modern servlet environment such as Apache Tomcat 7. Download and unpack Tomcat. Copy the solr example war file to tomcat's webapps directory and expand the war file. 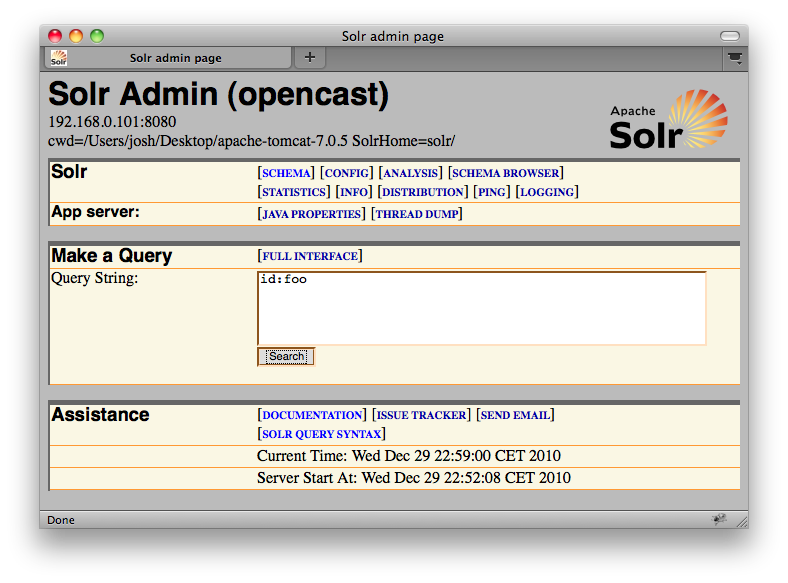 Add the solr config files to the solr webapp in tomcat. If you are setting up the search service, use the solr config from the search module. Edit the dataDir setting in solr/conf/solrconfig.xml to specify the directory you want to use for the index files. The index has a dependency on a Opencast class. The easiest way of getting rid of this dependency is providing a .jar file with that class within a directory named lib in the solr folder (you may need to create it if it does not exist). The .jar file can be the compiled solr bundle. 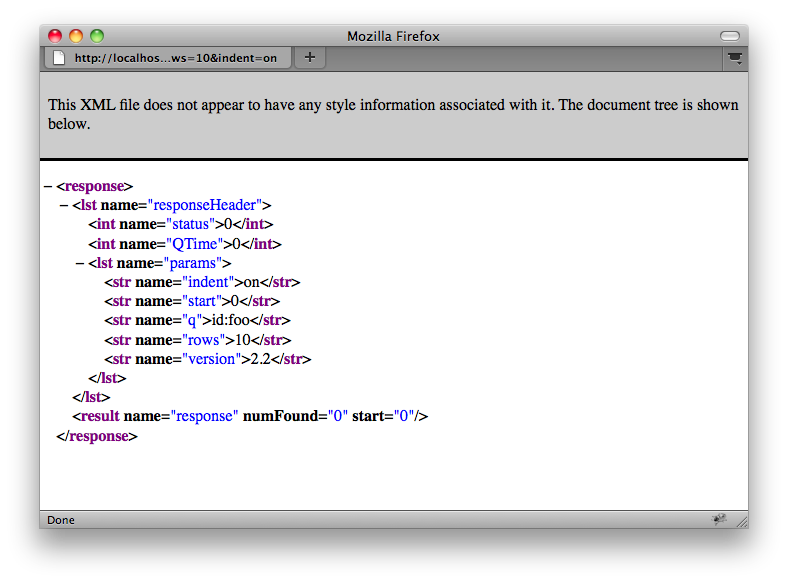 Placing the jar in the main Tomcat lib directory does not work. Just like with a relational database server, it is critical that you limit access to the solr server. Opencast's communication with solr servers is unauthenticated, so you must secure a firewall on the solr servers that accepts HTTP requests only from Opencast servers. If these servers were publicly accessible, anyone could make changes to Opencast data from outside Opencast itself. It is important to understand that a solr server provides exactly one schema, and one schema only. If you want to cluster both the workflow service and the search service, you will need two separate solr servers. These solr servers can run on the same machine, but each will needs its own servlet container and port.